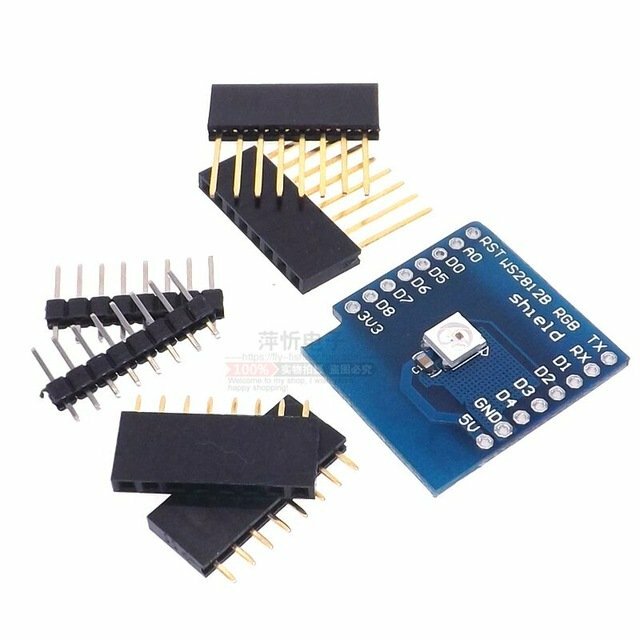 At aliexpress.com you can purchase WS2812B RGB SHIELD for WeMos D1 mini WS2812 for only $0.68, which is 63% less than the cost in Banggood ($1.82). 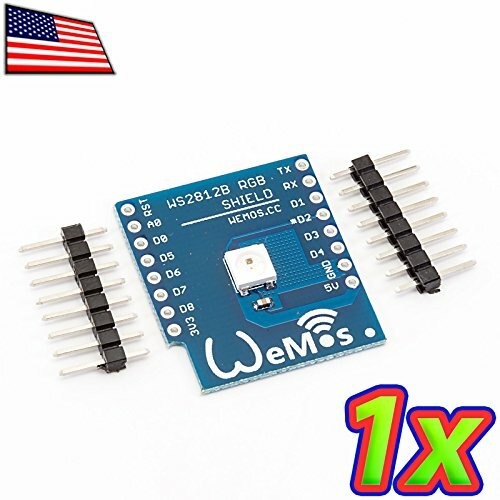 The lowest price of WeMos® WS2812B RGB Shield For WeMos D1 Mini was obtained on 16 March 2019 2 h 02 min. 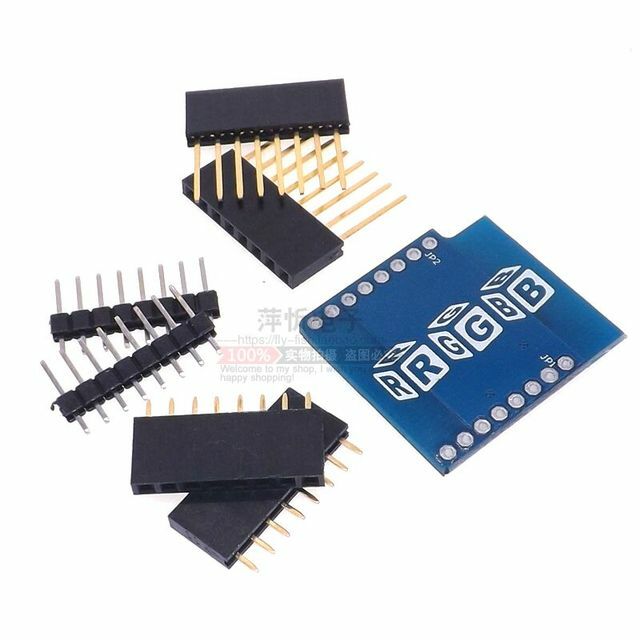 This Shield allows you to add a light spot to the RGB Led to your WeMos d1 mini projects. The shield is built around the WS2812B microcontroller supported by the Adafruit Neopixel library.